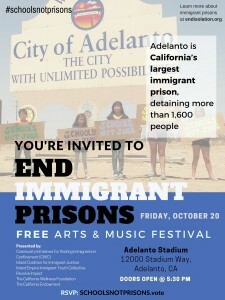 LOS ANGELES – Community Initiatives for Visiting Immigrants in Confinement (CIVIC) and the Civil Rights Education and Enforcement Center (CREEC) are putting the Department of Homeland Security (DHS) and Immigration and Customs Enforcement (ICE) on notice over ICE’s plan to destroy the records of immigrants in detention, including deaths in custody, solitary confinement and sexual assault. “These records are vital to anticipated litigation. They are essential to obtaining justice for those individuals who’ve needlessly suffered at the hands of government officials,” says Christina Fialho, an attorney and the Co-Founder/Executive Director of CIVIC. Earlier this year, CIVIC filed a civil rights complaint after uncovering, through a Freedom of Information Act request, widespread sexual abuse, assault and harassment in U.S. immigration detention facilities. CIVIC uncovered that between January 2010 and July 2016, Homeland Security’s Office of the Inspector General received over 33,000 complaints of sexual assault or physical abuse against DHS’s component agencies. But the Inspector General investigated less than 1 percent of these cases. The federal government has shown no interest in a proper and full investigation. And now, it wants to destroy sexual abuse and assault records. That won’t happen on our watch. CIVIC is a national nonprofit headquartered in San Francisco, California, with a mission to abolish the U.S. immigration detention system. 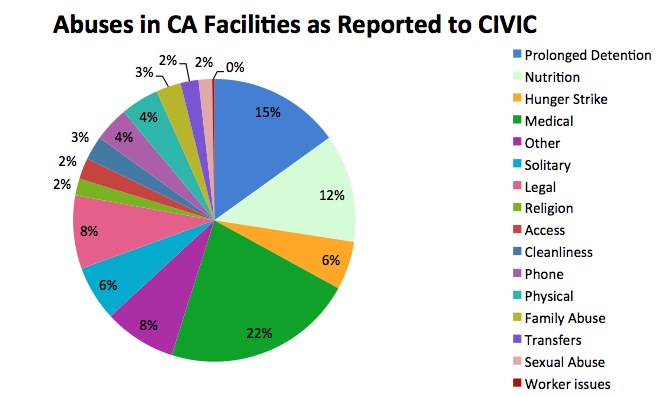 In addition to providing independent oversight of the U.S. immigration detention system, CIVIC also challenges immigration detention practices. Learn more atwww.endisolation.org. CREEC is a non-profit located in Denver, Colorado, with a nationwide scope whose mission includes investigating and filing impact and class-action lawsuits on a broad array of civil rights issues. Learn more at www.creeclaw.org. “Reports have surfaced detailing the Trump administration’s immigration efforts to target children. The question we all need to be asking ourselves is, what does it say about our country when we lock up children in immigrant prisons? It is not only inhumane, but also runs counter to our values and ideals. There are already very few laws or regulations that protect people in immigration detention, and minors are a vulnerable population. A legal agreement the administration is targeting is known as the Flores Settlement, which is one of the only requirements that provides some regulation over child immigration detention. “The Department of Homeland Security’s Office of the Inspector General released a report detailing shortcomings in immigration enforcement and administration within DHS’s component agencies, including Customs and Border Protection (CBP), Immigration and Customs Enforcement (ICE) and Citizenship and Immigration Services (USCIS). In its report, OIG recommended that the agency develop a unified approach for strategy and oversight through the creation of a department-level group. If DHS is committed to this approach, we believe one area where it could improve upon is by creating a uniform system for filing complaints against component agencies, for example, which would be beneficial to those directly impacted by the system, such as asylum seekers, legal permanent residents and others in their custody. His response to the attack is not only misguided and based on fear, but it is also exploitative, seeking to further his administration’s attempts to curtail immigration. When the president uses phrases like “chain migration,” he essentially wants to make it more difficult for families to immigrate and stay together. Language matters. We fear that ending the Diversity Visa Lottery Program may signal the beginning of other policies aimed to keep people apart. Today, Governor Brown signed SB 29, the Dignity Not Detention Act, into law, effectively freezing the growth of private, for-profit immigration detention facilities in the state of California. 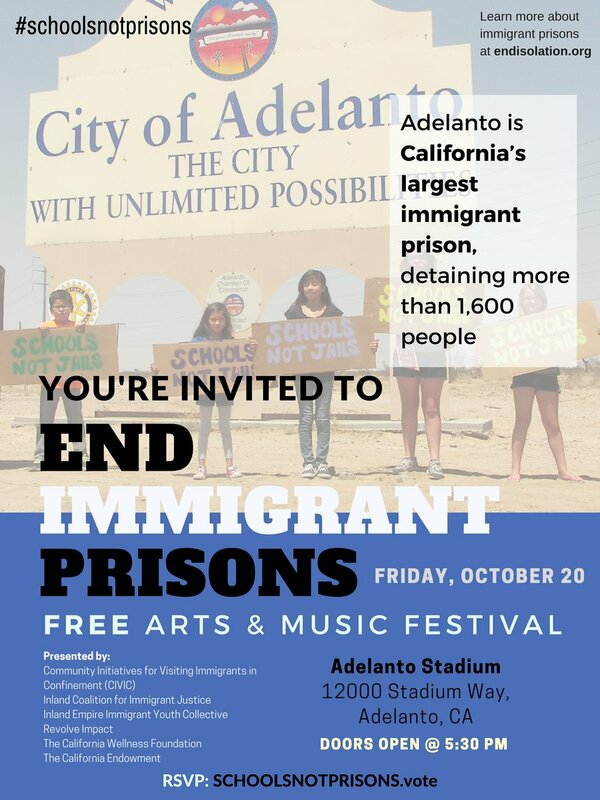 The bill also prohibits cities or counties from entering into new, or modifying existing, contracts with private prison companies for the purposes of expanding immigration detention, and gives California community members the chance to weigh in on the construction of any new facilities in their neighborhoods. 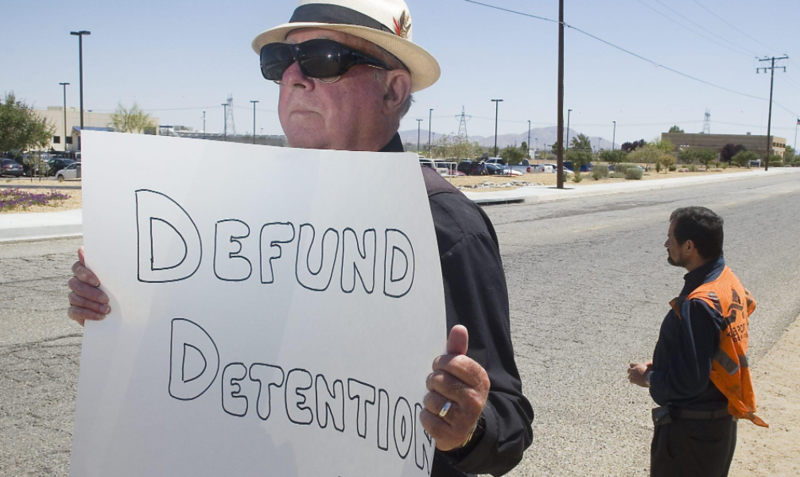 Nearly 4,000 immigrants are detained in facilities across California on any given day, with over 70 percent of them housed in for-profit facilities. SB 29 was authored by Senator Ricardo Lara (D–Bell Gardens) and co-sponsored by Assembly Member Gipson, Assembly Member Gonzalez Fletcher, the Immigrant Legal Resource Center (ILRC) and Community Initiatives for Visiting Immigrants in Confinement (CIVIC). “An economy based upon the confinement of people for profit is immoral, and now in the state of California, its expansion is illegal. Governor Brown, Senator Ricardo Lara, the California Legislature, and human rights advocates across the state have come together to pass one of the most important pieces of pro-immigrant legislation in recent history. There is much more work to be done, but this bill is a step forward in the fight to end our costly, inhumane, and unaccountable detention system,” said Christina Fialho, an attorney and the co-founder/executive director of CIVIC. The Immigrant Legal Resource Center and CIVIC will work in partnership with formerly and currently detained immigrants and the state’s leadership to ensure full implementation of this bill. The ILRC and CIVIC will continue to fight for additional reforms to immigration detention, including the codification of standards of care across all detention facilities, the creation of extra protections for LGBTQ-identified immigrants in detention, increased visitation access to legal counsel and family members, the increased adoption of community-based alternatives to detention, and ultimately an end to all immigration detention. For interviews with the Immigrant Legal Resource Center, a key co-sponsor and supporter of the bill, please contact Jareyah Bradley at jareyah@balestramedia.com or908.242.4822. For interviews with CIVIC, please contact Christina Fialho atCFialho@endisolation.org or 510-612-3570.